Nick Brown is a multi disciplined artist living and working in London. 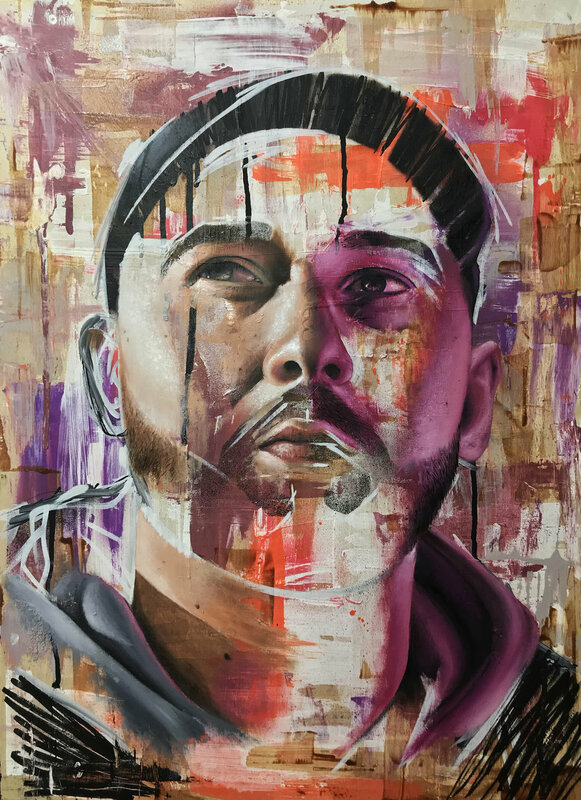 who developed a keen interest in drawing and painting at a very young age, and went on to become active in the London graffiti scene during his teens and early twenties - this led to opportunities working alongside brands such as Nike, Evisu and PlayStation. He has continued to refine his skills with a spray can and now paints highly intricate, vivid images both on wall and canvas.